The materials contained on our site are provided for general information purposes only and do not claim to be or constitute professional advice and shall not be relied upon as such. We do not accept any responsibility for any loss which may arise from accessing or reliance on the information on this site, and we exclude all liability for loss or damages directly or indirectly arising from the use of this site to the fullest extent permitted by English Law. 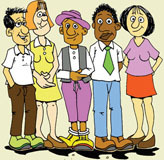 http://www.englishphonicschart.com is a site operated by THRASS (UK) LIMITED, which is a Company registered in England and Wales under registration number 3532730. Our Registered Office is: c/o Atkinson Accounts, Egerton House, 55 Hoole Road, Chester, Cheshire, United Kingdom. CH2 3NJ. Our VAT number is 709 8429 04. The purpose of the site is to provide you with information about the English Spelling Chart Resources, our products and the activities we undertake. When you access our online selling website or web pages, you should note that other or additional terms will apply (e.g. in relation to the sale and delivery of goods). Our status as the authors of material on our site (and that of any identified contributors) must always be acknowledged. THRASS® is a UK registered Trade Mark of ALARY LTD.
To the fullest extent permitted by law, all warranties (express or implied) in respect of the site and the content of, and your use of the same are excluded. Except in the case of death or personal injury caused by our negligence, we exclude all liability to you in respect of your use of this site to the fullest extent permitted by law. Any breach of this provision will constitute a criminal offence under the Computer Misuse Act 1990. We will report any such breach to the relevant law enforcement authorities and we will co-operate with those authorities by disclosing your identity to them. In the event of such a breach, your right to use our site will cease immediately. We may provide links to other websites from time to time. These links are provided for your convenience. We do not endorse or take responsibility for the content of those websites, are not responsible for the availability of those websites and will not be liable in any way for any loss or damage which you may suffer by using those websites. If you decide to access linked websites, you do so at your own risk. 1. FOR DELIVERY TO COUNTRIES IN OUR LICENSED AREA. 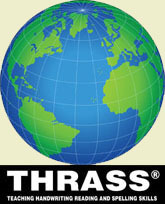 THRASS (UK) LIMITED is only licensed to serve customers in EUROPE, MIDDLE EAST, SOUTH AMERICA, CENTRAL AMERICA (and the Cayman and Caribbean islands), the USA, CENTRAL ASIA (Pakistan, Afghanistan, Turkmenistan, Uzbekistan and Kazakhstan) and also AFRICA (excluding South Africa, Lesotho, Swaziland, Botswana and Namibia, which since 2011 have been overseen by BidVest Paperplus Pty Ltd). You will be required to select your country from a drop down list during the checkout process. 2. FOR USE EITHER BY YOURSELF OR BY YOUR INTENDED RECIPIENT(S) OF THE PRODUCTS. We reserve the right to decline any order if we have reasonable cause to believe it is for onward sale other than through distribution channels approved by us. We take all reasonable care to ensure that all details, descriptions and prices of products appearing in the English Spelling Chart Resources Online Shop are correct at the time when the relevant information is placed on to the site. Although every effort is made to keep the English Spelling Chart Resources Online Shop as up to date as possible, the information appearing at a particular time may not always reflect the position exactly at the moment you place an order. • Once you have selected the products you wish to order, click on the “Checkout” button at the end of the checkout process. • Once you have clicked on the “Checkout” button, you have made a provisional offer for the sale of goods. Your offer at this stage is still subject to our acceptance. If you select Payment by Card or Payment by PayPal, in order that we may accept your offer, we obtain an authorisation from your Card company/PayPal account for the amount detailed on the order summary page. This is a normal process and if your card/PayPal account should not give an authorisation, your order will not be processed further. • We will E-mail you to confirm your product order has been received. • The product you ordered is discontinued or no longer available. • Your payment card/PayPal account does not give authorisation for the payment of the purchase price. • You do not meet the eligibility to order criteria set out above. You may change your mind and cancel your order within SEVEN (7) working days after the day you receive your goods. If you choose to cancel your order, we will refund the full purchase price of the goods you wish to return but NOT the delivery charges incurred in delivering the goods to you. Note: If you choose to cancel your order, you will be expected to return the goods to us in perfect condition. We will NOT refund the return delivery charges (cost for returning goods to us) and, if you fail to return goods to us, we may charge you for the cost incurred in collecting them from you. You may exchange your goods or obtain a full refund, if the goods in your order are damaged or faulty upon receipt, or if the goods you have received are not the goods you originally ordered. c. Return Charges (the cost for returning goods to us) upon the production of a receipt. Alternatively we will arrange to collect your goods from you at our cost. b. Refund return charges (the cost for returning goods to us) upon production of a receipt. Alternatively we will arrange to collect your goods from you at our cost. Please contact us by email, phone or post. Our details can be found using the Contact Us link on our homepage. a. A copy of the Confirmation Email containing your name and Order Number. b. List and description of goods to be returned. c. Reason given for returning goods. a. Reasonable care must be taken when packaging the parcel and returning it so that goods are not damaged in transit. b. You are advised to use a carrier that offers both traceability and insurance. c. It may take up to 7 days for your parcel to reach us. • Change the Conditions from time to time, and your continued use of the English Spelling Chart Resources Online Shop (or any part thereof) following such change shall be deemed to be your acceptance of such change. It is your responsibility to check regularly to determine whether the Conditions have been changed. If you do not agree to any change to the Conditions, then you must immediately stop using the English Spelling Chart Resources Online Shop. • If we should change these Conditions, your order will be subject to the Terms and Conditions at the date and time of you placing your order. If any part of the Conditions is declared unlawful or unenforceable, then that provision shall be deemed deleted from the Conditions and the remaining provisions of the Conditions shall remain in full force and effect. English law applies to these Conditions and any dispute relating to the Conditions shall be settled by the English courts. If you have any concerns about material which appears on our site, please contact office@thrass.co.uk.